On line shopping: these online stores are my favourite stores the fabrics are beautiful! Crafty Mamas Fabrics stocks beautiful fabrics and patterns from Europe, such as ,Paapii Design, Lillestoff , Farbenmix, Ottobre Design Magazine. Liz Roadley, the store’s proprietor, travels to Europe to source the world’s finest fabrics. Liz is committed to providing Australian women with the best quality European textiles as well as the in-house services to transform the fabric into outfits that ensure women look and feel their best. Stock all types of Fabrics. 2 way stretch fabrics, Lycra, Spandex, Sequin Fabric, Nylon, Lace, Bridal Tulle, Velvet, Hologram Fabric, Foil, Chiffon, Taffeta, Linings, Satin, Organza, Lame/Cottons, Net and Fur. Have an enormous range of Trimmings, Lace, Ribbons, Elastic, Cords, Tape, Sequins, Beads, Jewellery Components, Chain, Feathers, Flowers, Hats, Masks, Wigs, Fans, Tassels, Craft, Haberdashery, Gloves, Glue, Motifs, Fringe, Tiara’s, Buttons, and Buckles. GJs Discount Fabrics retail fabric store specialises in Glitter & Dance fabrics as well as Patchwork and Craft fabrics. They have recently relocated to a new and exciting store at 31 Steane Street, Fairfield VIC 3078 telephone (03)94825528. As a leading supplier to the dance and theatrical arts industry they have a range of Glitzy Holographic Spandex’s and Sparkle fabrics. As well as an extensive range of sequin trims, sequin fringing and feather boa to compliment these fabrics. GJ’s Discount Fabrics range of Patchwork fabrics includes top designers such as Alexander Henry, Amy Butler, Kaffe Fassett, Heather Bailey and Australian designer Saffron Craig. Fabric ranges from Moda, Michael Miller, Andover, Robert Kaufman, Hoffmanns, Lecien, Sevenberry, Kokka, Amy Butler and more..
A new a fabric shop has recently opened its doors in Dandenong Plaza, Level 1 near Target but outside on street entrance. Prices range from $2.00 till $4.99 per metre. 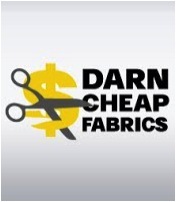 Australia’s leading fabric and lace wholesaler, renowned for their diverse and extensive range of fashion fabrics, bridal fabric and bridal lace. From hand-beaded silks, delicate laces, exotic embroidered tulles, to a colour coordinated collection of plain silk fabrics, They pride themselves on supplying only the highest quality fabrics, laces, silks and beaded fabrics. Clothing fabrics & dressmaker for a wedding dress, Mother of the Bride dress, cocktail dresses and womens suits. Cnr Gipps and Lennox St Richmond. From dress fabrics, cottons, knits, wovens, evening and bridal, furnishing fabrics and accessories, haberdashery, patterns and of course the famous remnant bins, there is always something for the home sewer, home decorator, fashion student or DIY enthusiast! Now carries end of runs from designers such as Alannah Hill, Collette Dinnigan, Jayson Brunsdon and the like. 1184 Glenhuntly Rd, Glenhuntly 95636833. Tylers Fabrics. 58 Cremorne Street, Richmond. With a strong focus on natural fibers the range is diverse, but includes not only a great selection of quality basics like Japanese cotton shirtings, silk chiffons and georgettes, woolen suitings and coatings, linens and satins but also specialty pieces like New Zealand merino knits, leather hides, eco and organic fabrics and much more.Sourcing fabrics from both local and international designers as well as sampling lengths from manufacturing runs means that the stock is continually changing and is peppered with treasures that you may see one day but will be gone the next. or www.silktrader.com.au to view their entire collection.